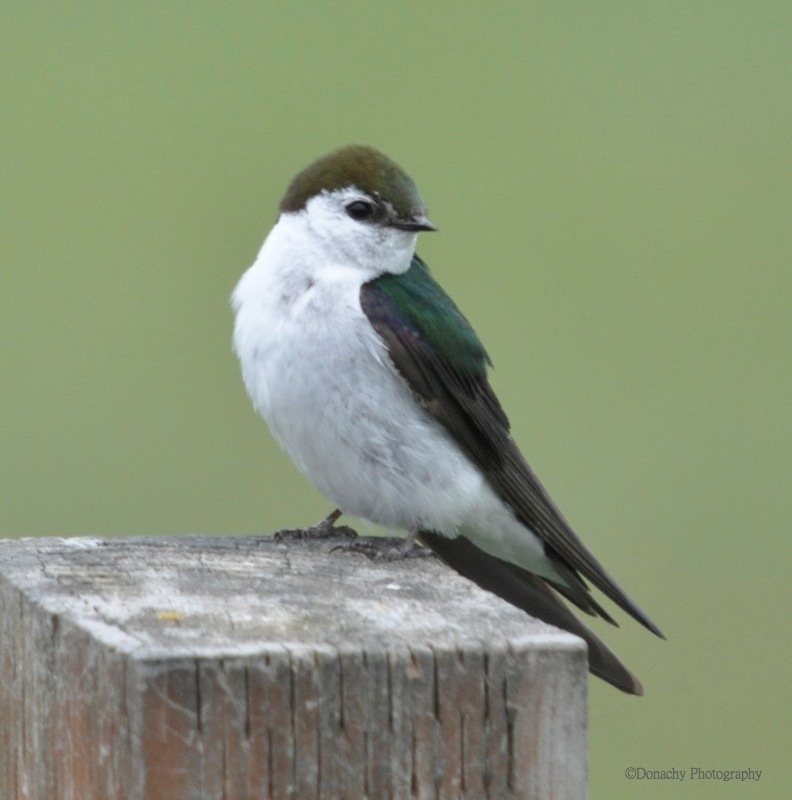 Violet-green swallows (Tachycineta thalassina) are common throughout the western U.S., Canada and Alaska. 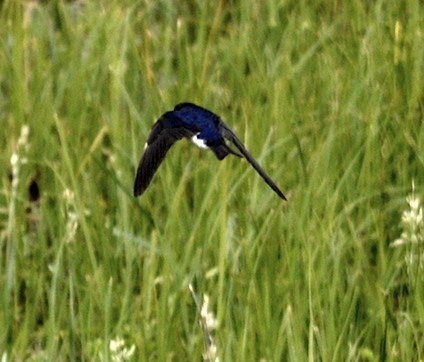 In flight, look for the distinctive white on the sides of the rump. 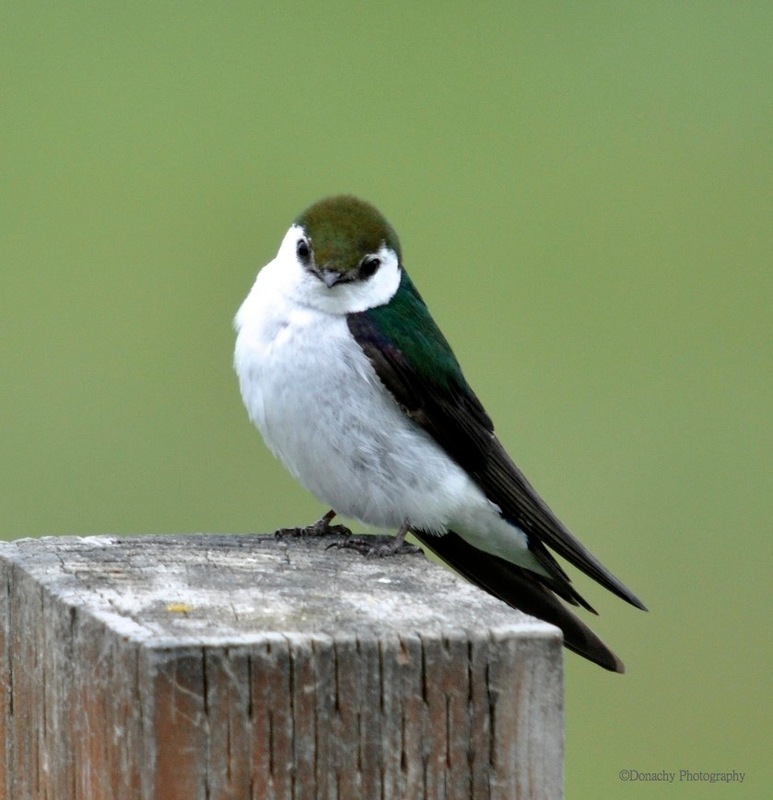 When they perch, look for white cheeks with white extending above the eye to distinguish them from tree swallows (Tachycineta bicolor). Depending on the light, violet-greens’ backs can appear to range in color from teal to metallic green to purple. This is the male, above. Females’ colors, above, tend be a bit more muted than males. Look for violet-greens in open areas and semi-open areas where they feed on insects. 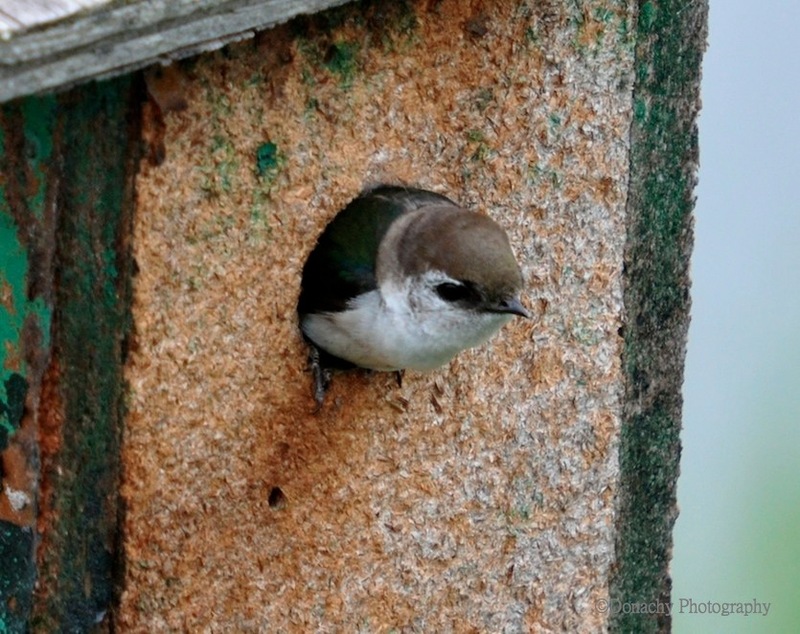 They can be attracted to nesting boxes. O’ so beautiful… I love birds. Good find:) Thanks for sharing! Hey, we keep reading your nice posts we will surely learn something about birds and cooking! Makes us look for the birds in your posts and try some of the dishes you make.